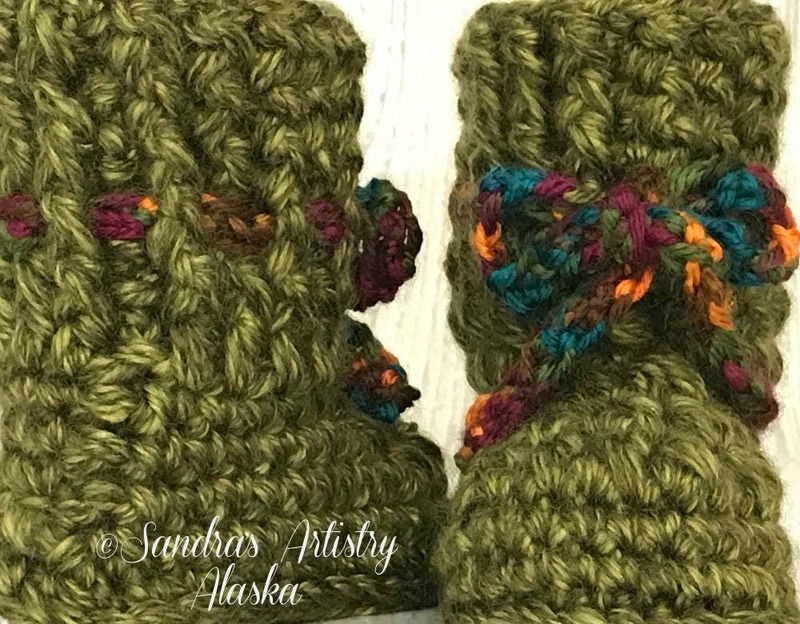 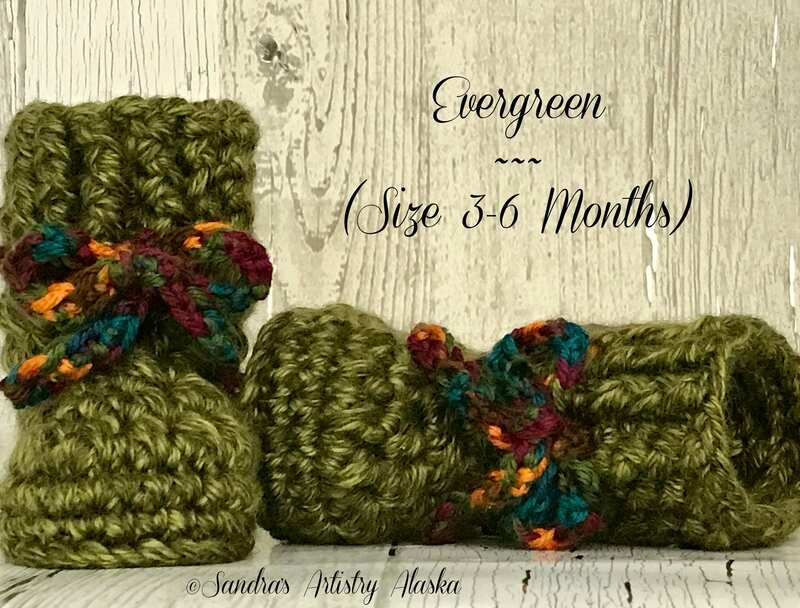 Trendy new handmade and designed Chunky Jewel-Tone Alaska baby booties. 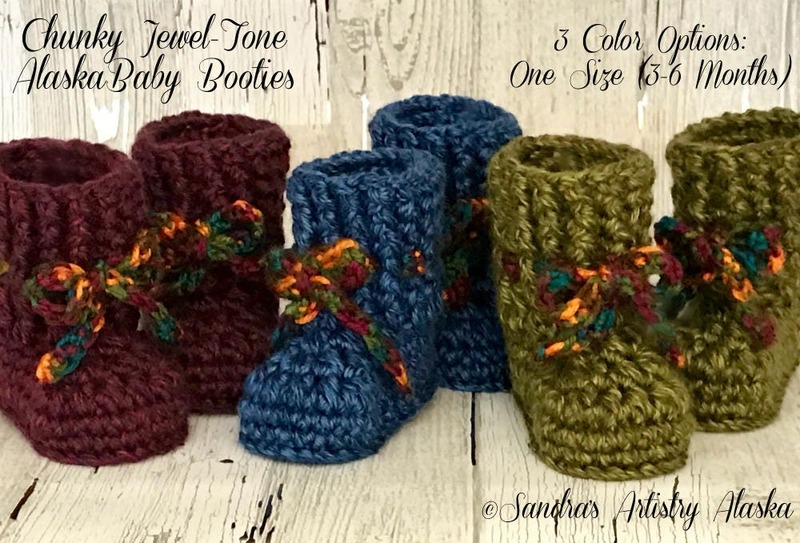 All three color hues are in an infant size: 3-6 Months. 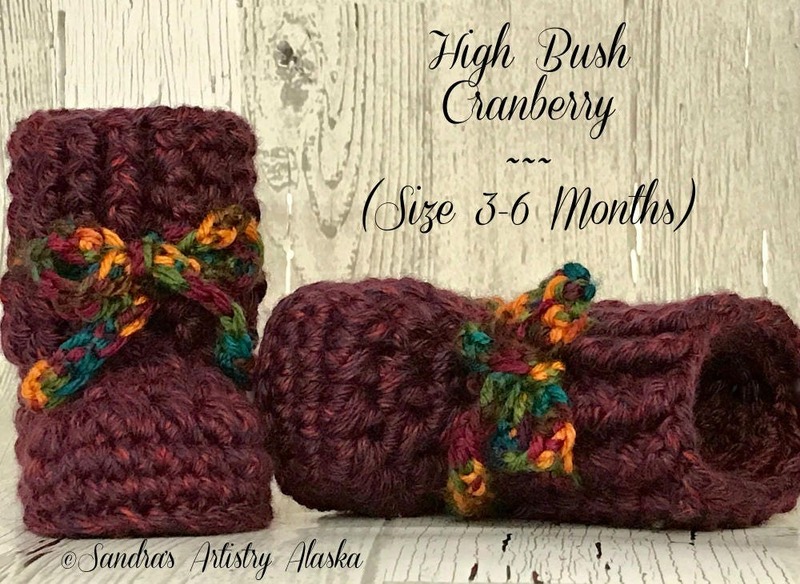 All have ties that allow for adjusting to fit your individual infant (be sure to place a finger between the tie and your baby's leg to ensure it's not too tight ~ Important!). 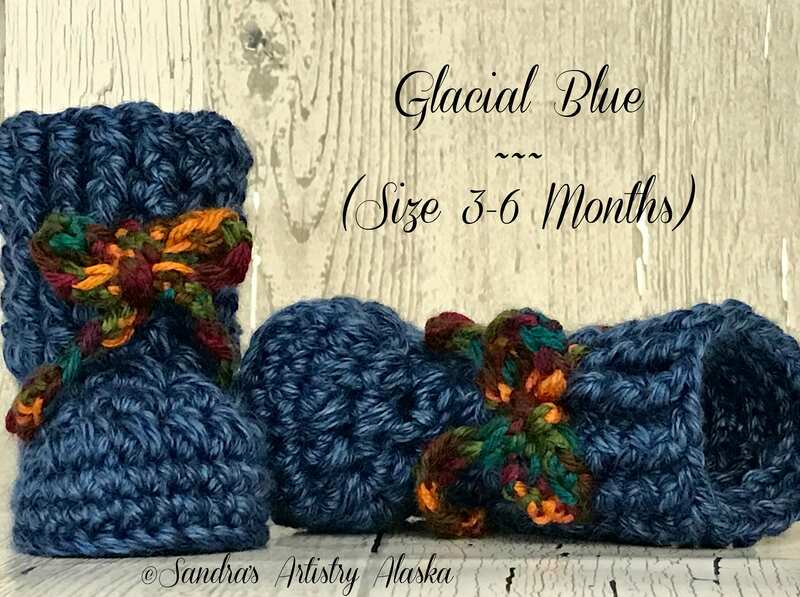 Each sole measures 4-1/2"; i.e., fits an average 3-6 month infant.